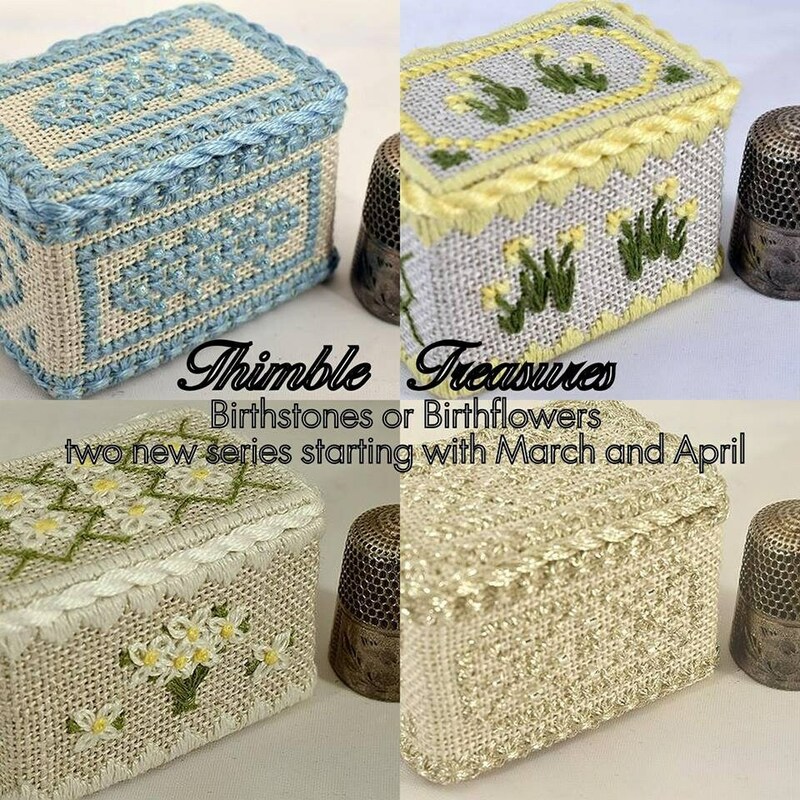 March Aquamarine - Thimble Box Treasures Birthstone Series Cross Stitch Kit by NOTEWORTHY NEEDLE Includes Bamboo Snap-Together Box! 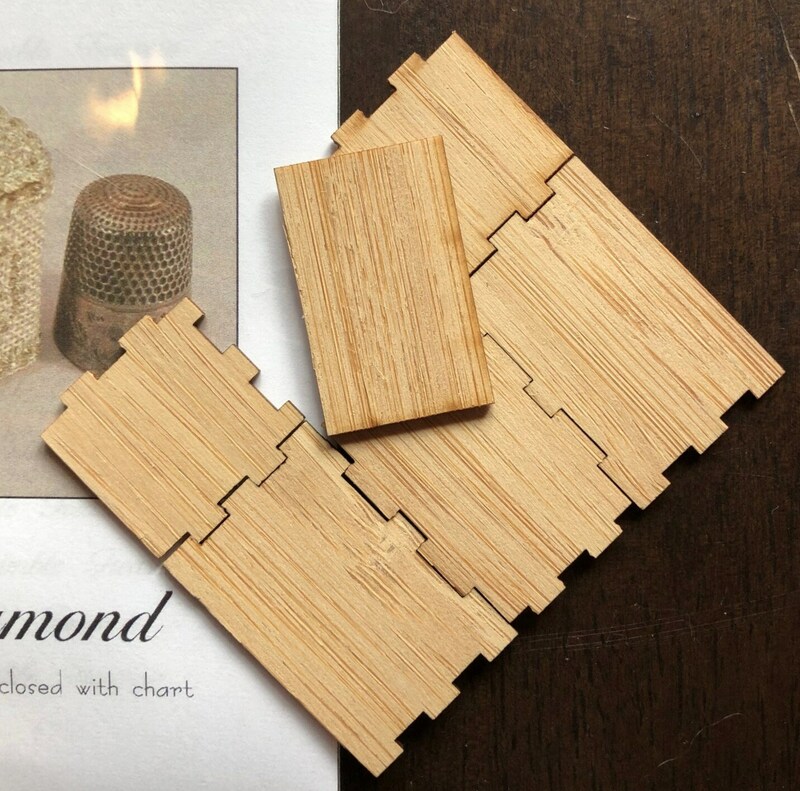 Included in the kit: cross stitch pattern, bamboo snap-together box, and easy-to-follow finishing instructions. 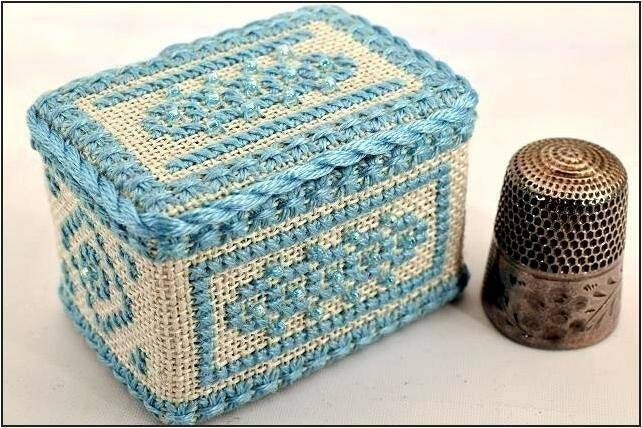 PLEASE NOTE: This listing is for the items listed above only - not the completed cross stitch.